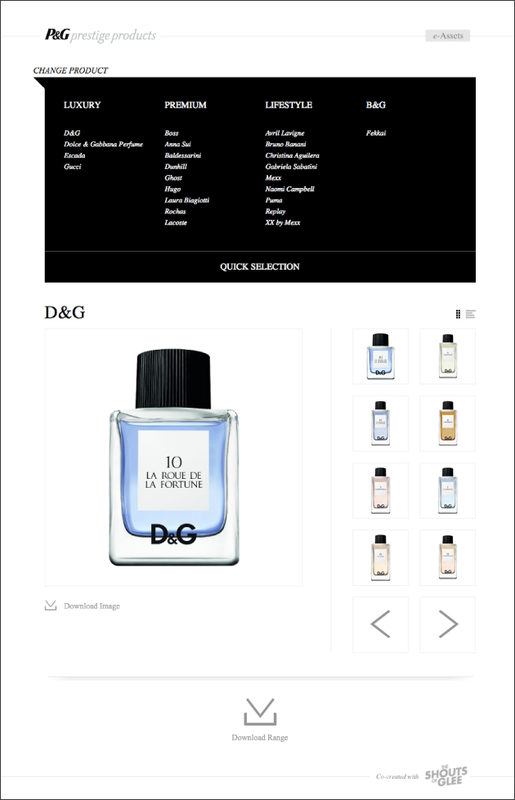 The Shouts of Glee created a comprehensive online database for P&G prestige products. The eAsset database is designed to help manage the development of best in class brand assets and communication elements to enable superior brand experience. A combination of file and online gallery link the various Prestige products and images with the important communication assets and serve therefore as a powerful digital tool for brand manager and their agencies.